Toast the bread on both sides in the oven. Spread some peanut butter on the toast. 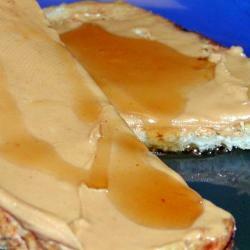 Use as much PB as you would on a PB&J sandwich. Put the toast back in the oven until the peanut butter gets warm. (Be careful not to burn the toast). Pour on plenty of maple syrup.